Day 1 done - 800 bits - the challenge is officially on! Well, day one has ended. However I broke my own number one rule - not to be too ambitious and try to keep things simple and achievable. It started out great, but then it managed to slide down into my usual 'perfectionism' trap, followed by a mind that keeps coming up with more ideas and going off track very quickly. I went and started to refine details, after which I modelled a few other items in for the next few images. I had an idea in my head for the composition, but of course next thing I know, I'm deciding that I want to make something else because my brain is seeing possibilities - a dangerous way to work. 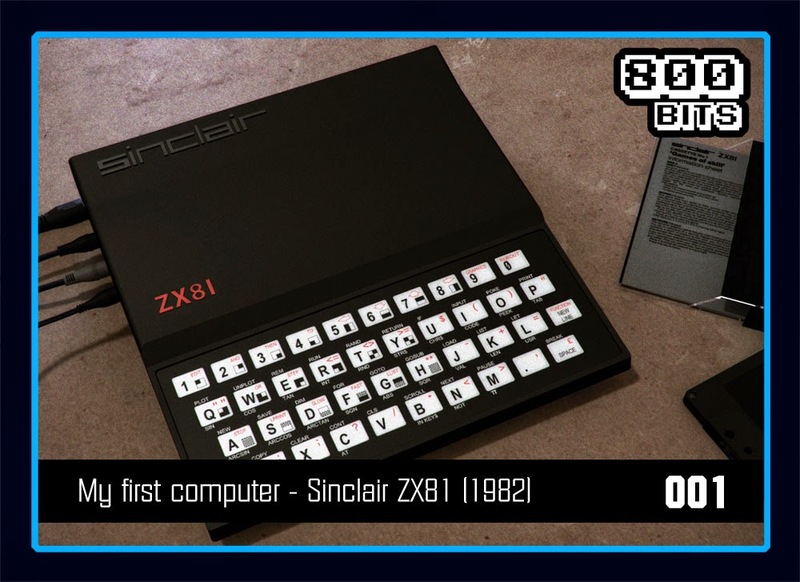 (a) decide to start with my first computer (that was the hardest part - truthfully!). (b) I did a quick grab of reference images I've been collating and built a 3D model. (d) started to fumble about with my composition. I moved cassette models, I tweaked the camera, I placed lights, I tested a few things... It just became a case of fiddling way too much. However I opted on two camera angles... I rendered them out. ...which I wouldn't have had to worry about if I'd just done the machine on its own like I'd originally planned, and quickly adjusted my 3D scene, re-render and update the one online. One of the challenges with CG is of course to meet deadlines, often under a lot of pressure. Time pressure will be my daily job during the week, which in itself can take up almost 12 hours of my day when I include travel to and from home. That's going to put a lot of stress on meeting that daily deadline. Part of the plan is to definitely "keep it simple, stupid". Composition will play a big part in this, and I've decided that I can definitely focus on key details that don't require me to model a vastly complex mesh. 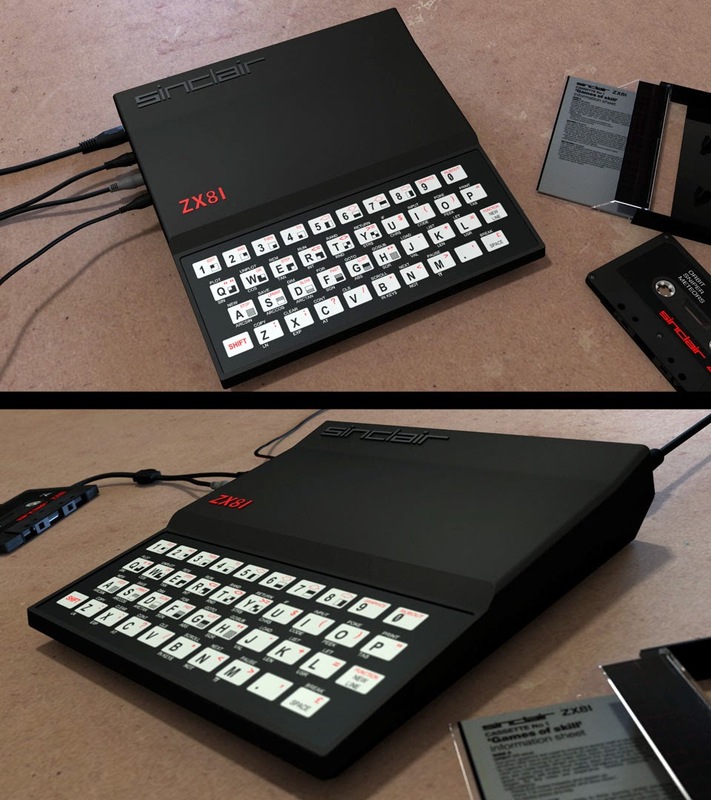 As much as I'd love to build a fully detailed 3D object that I can render from any and all angles (such as this ZX Spectrum) I know just how long a project like that takes. 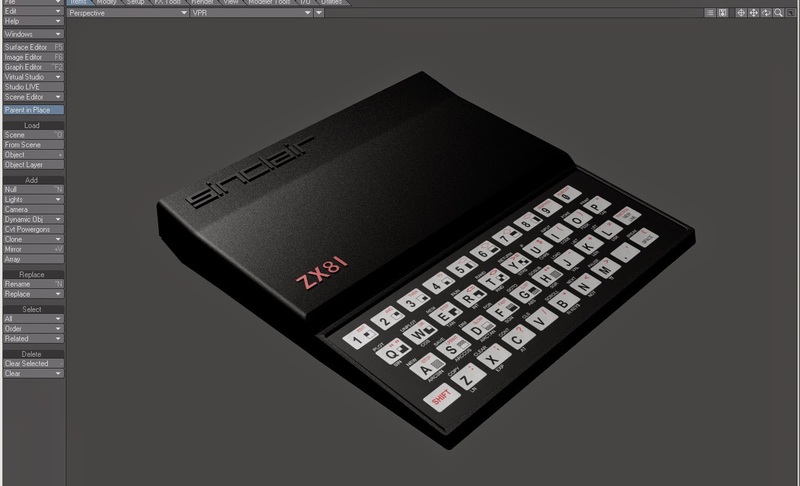 I built my first new asset for day 1 - my very first home computer, the Sinclair ZX81. It was less then 40 minutes from start to end. I limited the details down on the model - based on the composition not seeing them. That shaved a lot of time down. Day 2 I'm going to continue with this initial history. I'll make use of models I've already built in the past rather then reinvent the wheel as it were. Its going to be a test and a half, but there's 99 days to get good at it. I figured its worth noting a little about the process I've decided to go with here. 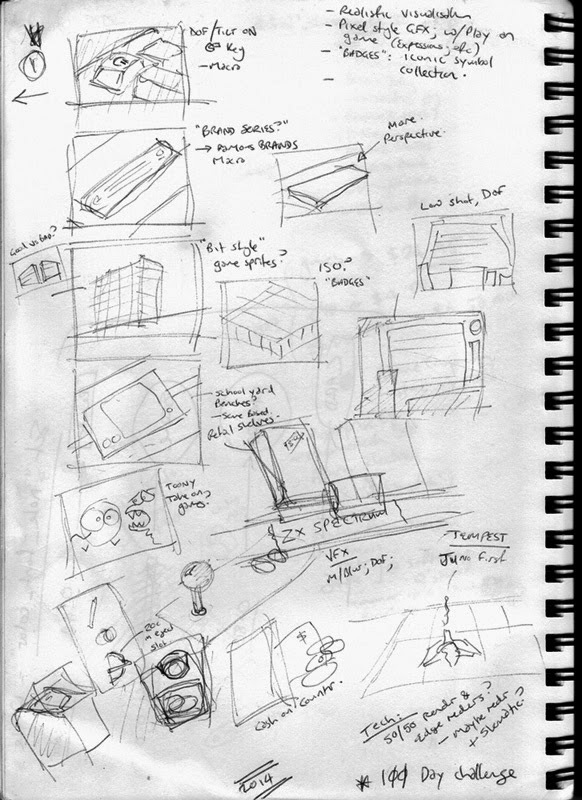 (a) Make sure once I'd done my pre-production thumbnails... I STICK with the one I plan to do and do not deviate. (d) Render, grade and slap it together.